Alroc cable preparation tools are used by cable jointers and cable splicers working on LV, MV, HV and EHV cables to enable the removal or stripping of outer cable sheath, semiconductor screen and insulation - correct cable preparation is essential to prevent the failure of cable joints, terminations and connectors. Typical MV, HV & EHV Cable Preparation applications include : cable sheath abrasion, cable outer sheath/jacket stripping, cable screen grounding, semi-conductor scoring (non-vulcanized, "easy-strip"), bonded semi-conductor shaving tool (vulcanized), primary insulation stripping, bevelling and chamfering cable insulation. 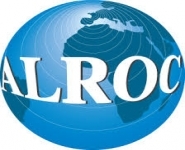 Alroc cable tools are preferred by MV-HV-EHV Cable Jointers for cable preparation prior to the installation of cable joints, terminations and connectors (cold shrink, heat shrink, slip-on and EPDM rubber) from manufacturers including ABB, Nexans Euromold, Elastimold, Pfisterer, Prysmian and 3M.